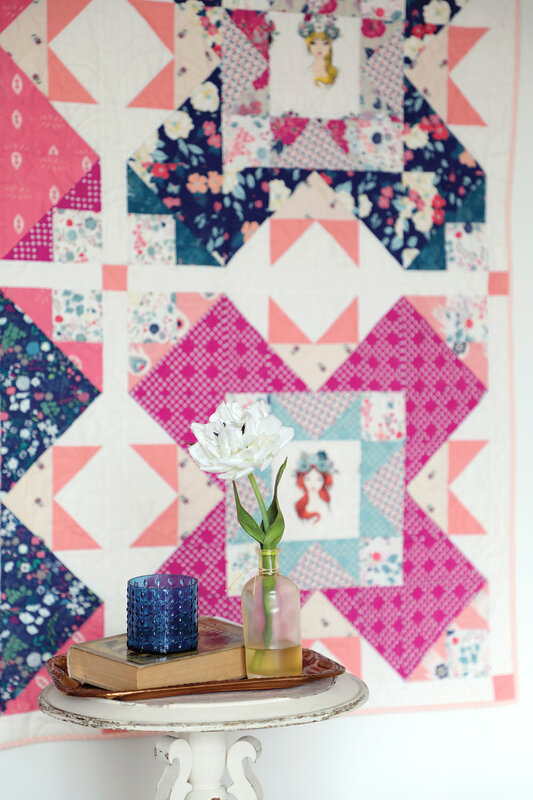 I'm so excited by how many of you will be sewing along with me on the My Signature Sampler quilting sew along! I've been anxious to make a sampler quilt with my new Signature fabric for Art Gallery Fabrics so I came up with an idea for a sampler sew along that will be as fun for me as it is for you! The bright idea is to utilize all the block instructions from the Sewcial Bee Sampler (SBS), Community Sampler (CS), AGF Quilt Block Collection (AGF), and the blocks from the Quilter's Planner magazine (QP) and let you be the designer! Using the previously written PDFs from my past sew alongs, the AGF block tutorials, and the beautifully written and illustrated Quilter's Planner block of the month instructions allows me more free time for other sewing and designing matters. Each week I will provide links to the various blocks I put into my sampler and if I've made any variations to the original block instructions I will give you that information in the blog post. Remember, you can always refer back to the Sewcial Bee Sampler and Community Sampler blog post tutorials the accompanied each past sew along block by using the search bar at the top of this blog. There you will get additional information on how to piece each block or technique. If you need extra help with your patchwork or would like to learn how to control the direction of your prints in half-square triangle units and other piecing techniques, visit my Tutorials page for lots of great tutorials all in one place. For a listing of online shops that carry my Signature and other AGF collections, visit my Fabrics page. If you're just joining, let me tell you a bit about this sew along: You can create your own sampler quilt or sew along with me as I make my sampler. I've made a handy-dandy fabric and coloring book page for you if you want to make a quilt with the same blocks as mine. Both the colored (fabric) version and blank version have a block list that contains the block's sources and week order in four columns below the illustration. I've even included fabric information for the materials I'll be sewing with on the colored (fabric) version. 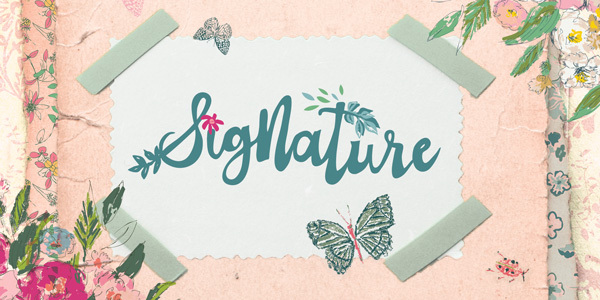 Find the coloring pages on the My Signature Sampler Begins post. For this week's block I've made the Friendship Star from the Sewcial Bee Sampler. Download the instructions from the Sew Along page. To get this block up to a 12-1/2" square I followed the instructions and added a frame around the pieced block in the new AGF Pure Elements Flamingo solid. Every Friday when I reveal a new block to My Signature Sampler, I'll also be posting the weekly giveaway. This week's giveaway comes from me. I'll be sending a lucky winner a Castle Garden quilt patterns and a signed copy of my book, Utility-Style Quilts for Everyday Living. Starting July 1st, 2018 I'll be listing a limited number of hard copy patterns of the Castle Garden quilt to my STORE page. This quilt pattern was written and made by me exclusively for the May Quilter's Candy Box collaboration with Maureen Cracknell's AGF Flower Child fabrics. 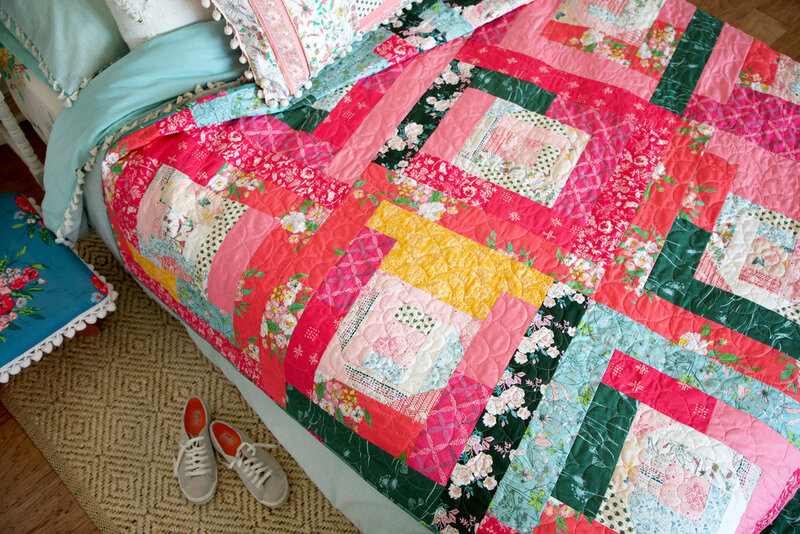 My quilt design couldn't have been anymore perfect for Maureen's magical fabric collection of a world filled with lush meadows, wild bouquets & the spirit of the flower child painted with fuchsia, blush pink & teal. The name for this quilt came to me once I placed the crowned girls in the center of the castles, complete with peach bunting flags! 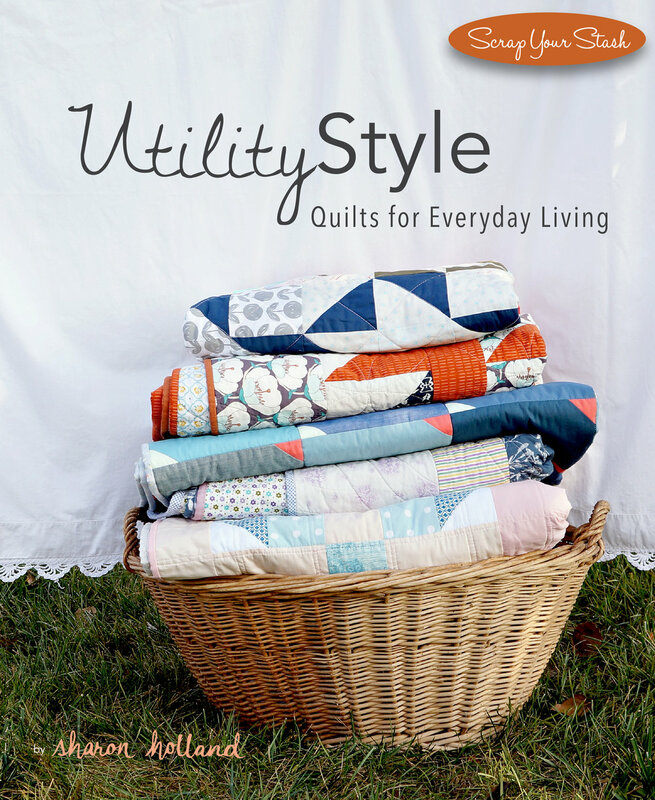 The second part to this giveaway is a signed copy of my book, Utility-Style Quilts for Everyday Living. 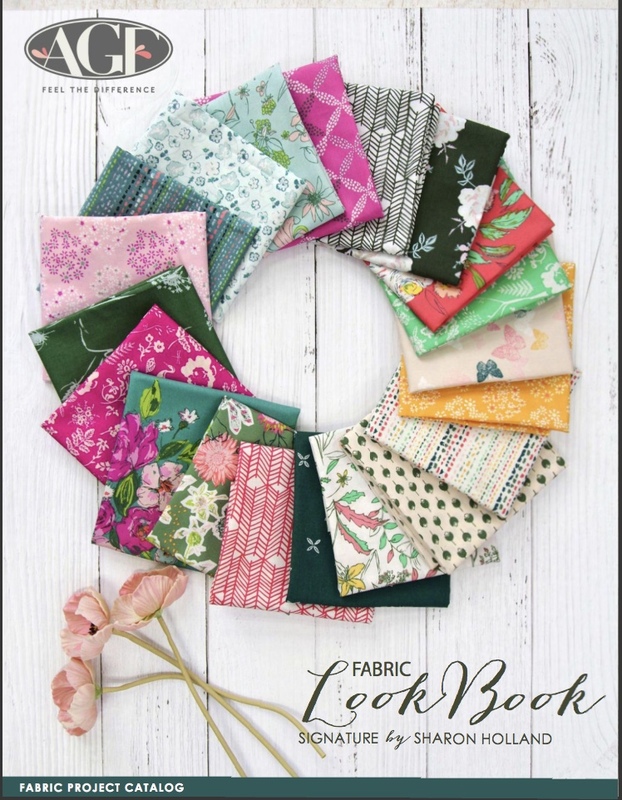 Utility-Style Quilts for Everyday Living by (moi) Sharon Holland (Landauer Publishing 2017) is as much a lifestyle book as it is an 80-page, beginner-friendly guide to patchwork. Find easy-to-follow instructions, beautiful photos, fully illustrated step-by-step essential techniques and information to stitch 12 different quilt projects from beginning to end. Each project is fast-pieced and encourages creative changes with skill-building design tips throughout. 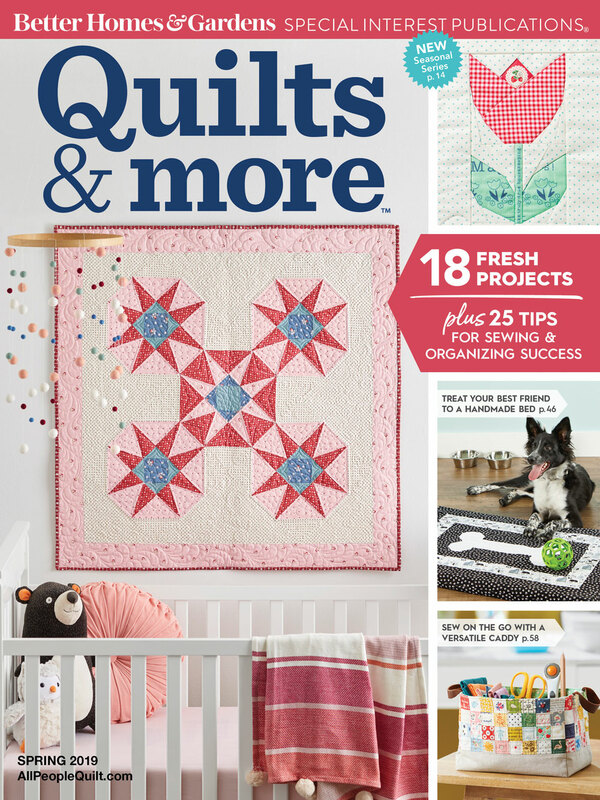 The lovely patterns are a reason for you to dig into your stash to make quilts you love. 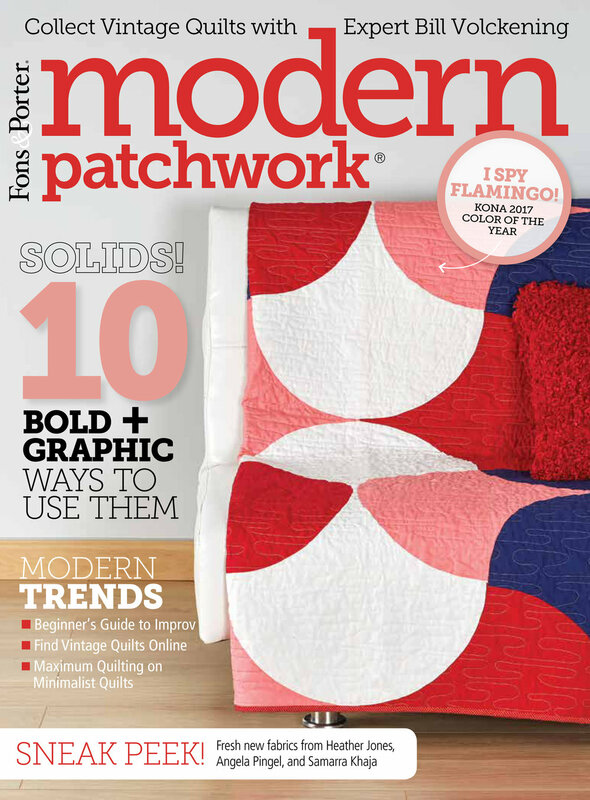 I had the great please to remake the Tracery quilt from my book in my new Signature fabric collection. It was so much fun and by flipping the lights and darks from the original quilt I've come up with a completely different look and vibe to this vibrant variation. I want to find time to remake all the quilts from my book because--there's so much yet to explore! Giveaway Now Closed. Congratulations to Marianne! Note: This giveaway is open to EVERYONE! If you're a "no reply" or anonymous commenter, please remember to include your email address in your comment--you can't win if I can't get a hold of you! 1. Simply leave a comment here under this post! (First comment entry). 2. Follow me on Instagram or Pinterest. Just let me know that you did by making a separate comment here to record that entry. (Separate comment-second entry). 3. My blog followers get a third entry! If you follow via subscribing to my posts, just let me know by making a separate comment here to record that entry. (Separate comment-third entry). 4. Help spread the word!! I know that many of you already do, so I thought it would be nice to add that as another way to enter! Spread the word about the My Signature Sampler sew along on YOUR instagram, Facebook, Twitter, Pinterest by pinning any of my pretty images in this post, etc... (separate comment-fourth entry). That’s FOUR possible entries! Enter now through Monday, July 2nd! The winner will be picked at random around 4pm Eastern. I will post the name of the winner on this post once they've been notified and responded to my email. *Don't forget to enter into this same giveaway on Instagram by posting images of your sampler inspiration, sampler fabric pull, blocks, or posting the My Signature Sampler badge (below). Use the official #mysignaturesampler hashtag every time you post about this sew along on IG to better your chances of winning. See my Instagram giveaway post @sharonhollanddesigns for full details. P.S. To Maxime Suchoski, I need you to contact me (use the contact from to email me) about being last week's fat quarter bundle winner. Your fabrics are waiting to be shipped! My first book is at the printers and I'll have a copy in my hand soon. The whole idea that I will have a book is still a bit unnerving and surreal. Yes, I'm not new to publishing and worked producing two magazines for over two years but this publication is all my vision. All twelve quilt projects were created by me, the fabrics are a reflection of my aesthetics and of my stash, the photographs (all except a few images) were styled and photographed by me, and the book layout is also my baby. No wonder I'm anxious and nervous about how this book will do--there's a lot of responsibilities here! The premise of my Utility-Style Quilts for Everyday Living book is a very simple one--make quilts to be used. I invite you to play with fabric combinations in a new light and not fuss with having enough of that perfect fabric because substitutions are the mother of all creativity. Each fast-pieced project is great for beginners, with skill-building design tips and suggestions throughout. These lovely patterns are a reason to dig into your stash and make a quilt that will be used and loved for years to come. You can now pre-order this book on Amazon (an affiliate) and it will be shipped November 15th, 2017. 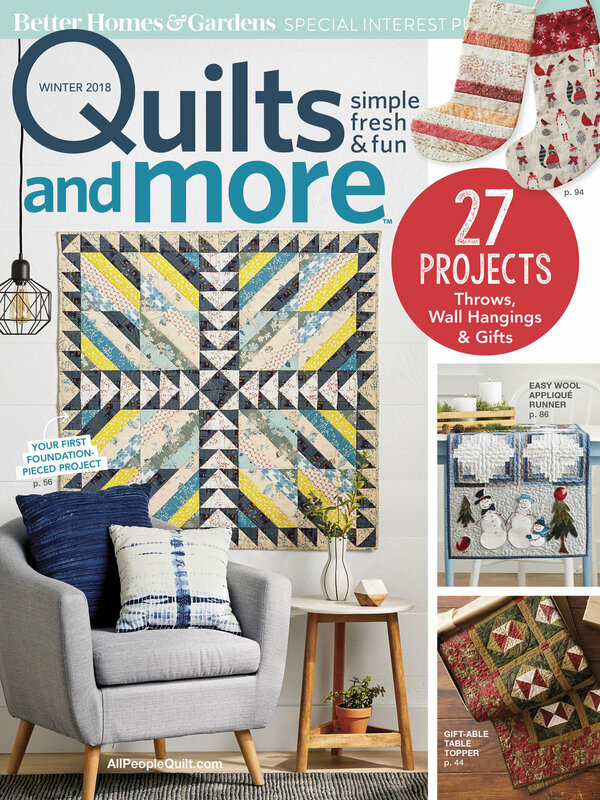 If you're planning on attending Quilt Market next month in Houston I will be having a trunk show of the quilts from the book during School House on Friday (time and room TBA) and have at least two book signings! More info on book signing times and booth numbers next month. There's a quilt design for everyone in this book. I structured the book as more of a life-style book to show how quilts can be used around the home. The cover starts you on the outside of a house and the interior pages walk you through all the living spaces within a home ending in the back yard. Star Crossed was made with a tween girl in mind and I love the funky plaids (vintage and new) mixed with soft pastels. I've always been overly ambitious and this book is no exception. 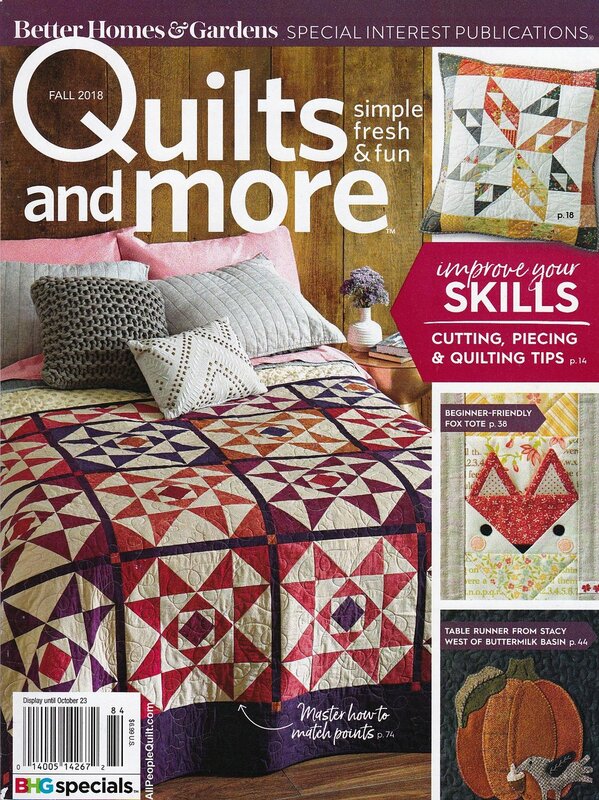 Not only are there 12 great projects but I also cover how to quilt them in several utility-style, simple quilting patterns. 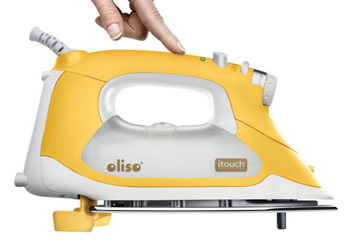 Machine, hand, and tied techniques are also covered so you can find what works for you with each project. 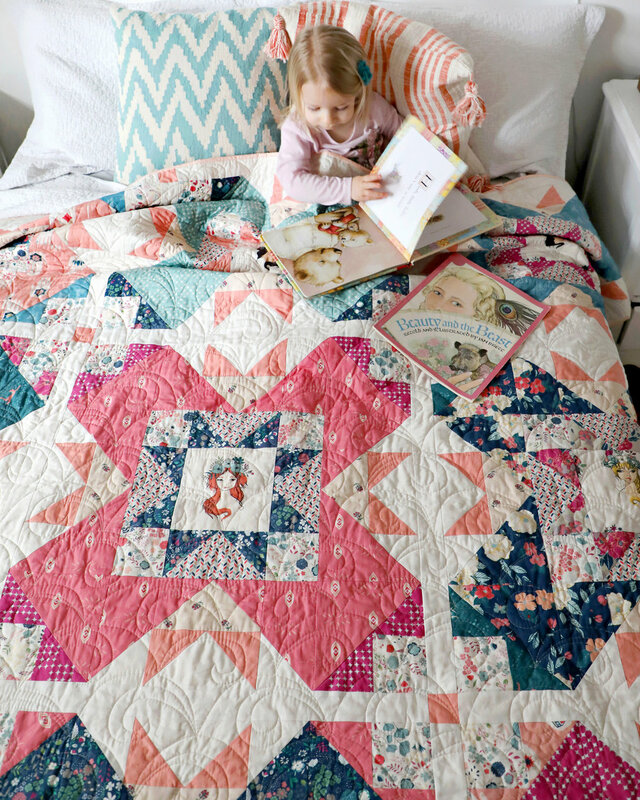 Of course with every book (or fabric collection) there needs to be a free quilt pattern! This beautiful scrap quilt called Roman Stripe will be available for download through Landauer Publishing once the book is available. I love this quilt and secretly wish I'd have thought of it last year when I was sewing the projects for the book. It has the potential of using dozens of different fabrics and is a great one for using up scrap strips. It's hard to be patient, believe me, I know! I'm looking forward to sharing this adventure in sewing with you and can't wait till the book is available and you can start sewing your utility-style quilts too! My good friend Sharon McConnell of ColorGirlQuilts is hosting a fun Instagram event to post pictures of "My Creative 2016". The postings started on December 1st and will run until December 14th. Anyone can join in on the fun and post pics based on the daily prompts. "Share all the positive energy that we have in this wonderful Maker community…I hope we can recognize inspiring makers, favorite finishes and ways we have learned and grown this past year." 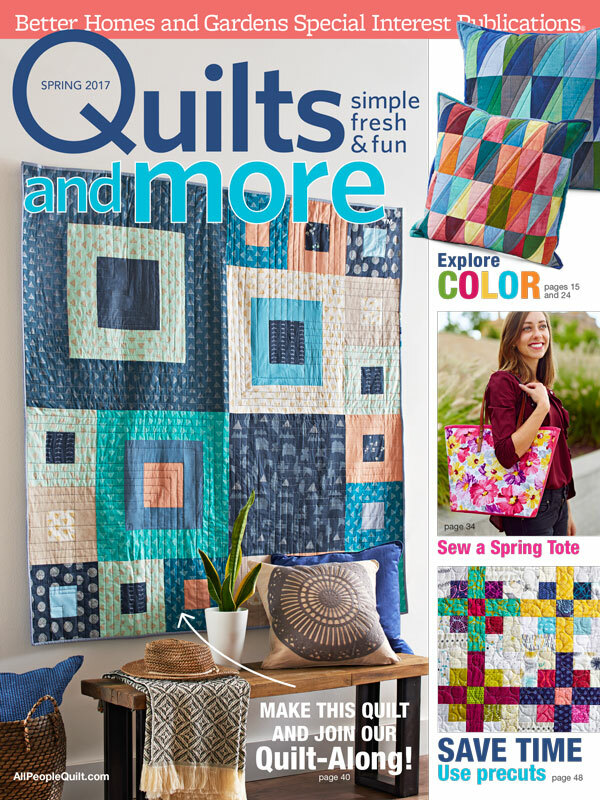 Several awesome sponsors have generously joined in to offer giveaways, including Pink Castle Fabrics, Hoffman Fabrics, Art Gallery Fabrics, and Color Girl Quilts. Read more about the prompts, how to participate, and using the hashtag #mycreative2016 in your IG posts to enter into the giveaway drawings on the Color Girl Quilts blog. The first day of the My Creative 2016 was all about introductions and talking about your creative passion(s). This photo of me was taken around February of this year and shows me surrounded by my passions. I love being a textile designer, quilt designer and sewist. I also love painting, drawing, and gardening but everything has a common end result of being useful, pretty, and joyful to myself of others. This was an easy one for me. All I had to do was look through my IG feed to see what color kept popping up in my work. Peach, coral, orange, and sienna. An analogous range of warm peachy tones runs through my designs. Another easy one for me. Over the last four months I've been doing a ton of secret sewing and it was finally the time to let the cat out of the bag with my big announcement. My proudest finish of 2016 was making 12 quilts in just under four months for a quilt book that comes out next year! I'll be debuting my Utility Style Quilts for Everyday Living book for Landauer Publishing at the spring Quilt Market in St. Louis and the book will be in the warehouse by August next year. This is only a placeholder image for the cover as we needed to get something together for the spring catalog. Believe me, I'll keep you posted on the progress of the book when I can show more. But for now, it's only this sneak peek. I found this one somewhat challenging for me to pin down. Yes, I could post a pic of my recent obsession for learning needlepoint (see one of the coasters I've been stitching in the My Color of the Year photo) but I feel I've got so much more to learn about that handcraft. Instead, I think I learned more about myself this year then a particular skill. I've learned it's okay to get old and to wear it (stopped coloring my hair in June) like a badge of honor like it is rather than to hide from it. I've learned to be true to yourself and let your inner artist call the shots. Do what makes your heart ❤️ sing. Although I didn't have as much time this year to paint as I would've liked, I did dust off my brushes and play on a few canvases. I was rusty but it made my heart sing! And lastly and most importantly put your family first! This is a fabulous community but social media is no replacement for the real family in your life. Make time for family. I hope you'll stop by @sharonhollanddesigns on Instagram to say 'hi" and play along by showing us what you've created in 2016. Be sure to use the #mycreative2016 hashtag and you could also win some awesome prizes!